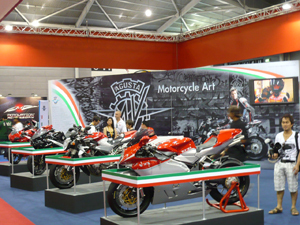 BikeAsia is organized by BikeAsia Pte Ltd, a joint venture between EICMA from Italy and Innovative Exhibition from Singapore. 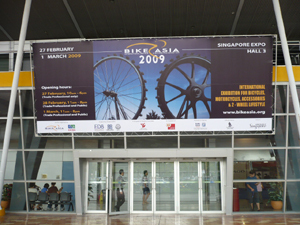 Bike Asia 2009 was held from 27th February - 1st March 2009 at Singapore expo hall 3 and over 110 exhibitors from Europe, Asia and the USA attended to present their latest products and services. 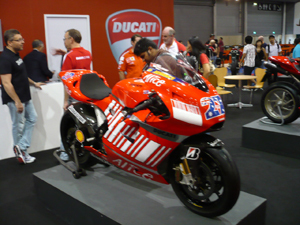 All of the desired brands in the world for bicycles and motorcycles, helmet, components, apparel, tourism, 2-wheels' lifestyle and more were on show.